Hello Lewis, welcome to Books2Mention Magazine. Thanks for taking time to interview with us. Congratulations on the debut of Auslander. This was truly a great story that was complete with action, romance and suspense. We commend you on putting out such a wonderful read. B2M: Can you tell us about your inspiration for Auslander? LEWIS: First of all, thank you with all sincerity for your review, and also in helping Auslander, and myself, gain exposure. 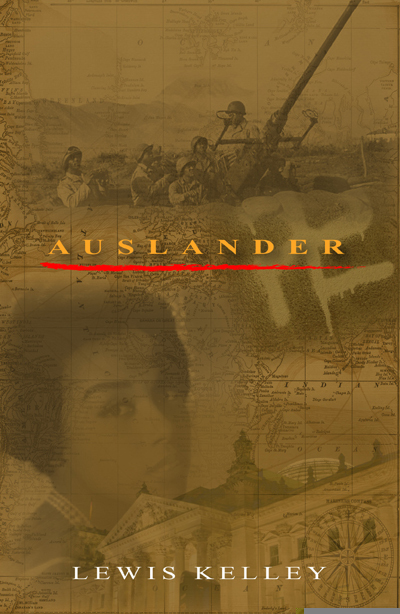 Auslander began as a concept, when I realized the extent of the ignoring of the contributions of soldiers of color; not only during WWII but also, over the course of history. However, it quickly morphed into more than that when I realized that if I were going to write something addressing that particular problem, then I was also going to tackle some other issues along the way. Namely, written and visual portrayals of African Americans and others that seem to be so one-dimensional. B2M: Since you have a military background, and have been privy to some of the issues that soldiers face, was it difficult for you to express the emotion and stress of life as a soldier? LEWIS: Actually, because I have that background, not only as a soldier myself, but as the child of a military man at one point in my life, I was able to empathize with the unique emotions and thoughts that soldiers experience. Also, the question suggests that I might have been reluctant to explore some of those emotions. That was never the case; I am first and foremost a writer and it is my desire to give all of my characters as much depth as possible as it relates to a particular story. I feel that is a unique way in which literature, particularly the fictional kind, is of benefit to the reader; there has to be a personal connection that is relevant to negotiating what can often be a very difficult world. If you had read my original drafts, you would have seen even more raw emotion from many of the characters. B2M: Did you feel that it was important for you to write about the politics of soldiers in wartime? LEWIS: For Auslander, it would have been criminal not to. Here you had black soldiers being asked to possibly die for their country and freedom, fighting against tyranny, oppression and the outright murder of millions, and yet, even in the midst of a war waged in opposition to the worst tyrant history has ever recorded, they are segregated, discriminated against, and in some instances, restricted from being the men they need to be in order to accomplish the mission. And this was done as a matter of government policy in many instances. In spite of that potentially debilitating climate, you had men and women who served willingly, with distinction and bravery that was equal to that of any other group. That dichotomy is an astonishing one, and one that begged to be explored as much as the human aspect of what someone living within that inconceivable duality might have thought and felt and experienced. B2M: Can we expect to see some of these same characters in a future project? LEWIS: Yes, yes, and yes. I am a long way from finished with Vince and Vierna and many of the other characters. Of course, the interest will have to be there, but if it is, then what you have, essentially, is the beginning of a series. There is a great deal of story left to tell. B2M: Do you have a favorite character in your book? LEWIS: Many; Vince and Vierna obviously; both as individuals and for the relationship they share. That image of two people who happen to be African Americans who are loyal to one another and involved in a love relationship that is far from typical, is one I wanted to portray for very specific reasons. It goes back to the one-dimensional view of African Americans that the world is fed on a revolving basis. All people upon the earth are capable of wide-ranging emotions, thoughts, actions etc. I wanted that diverse character mix for Vince and Vierna, and you will see more in the sequel and beyond as they continue to be at the center of what is occurring and not relegated to "sidekick" status, as my offspring would say. I loved developing the other characters also. Hopefully, you will see further expansion of many of them as well, as everyone in the story shares the same humanity and deserves the same consideration. One of the best compliments that I have received from anyone was that, as a man, I captured female emotion in a compelling way. That simple statement was vindication but it also meant that the human drama was coming through; which I very much wanted. 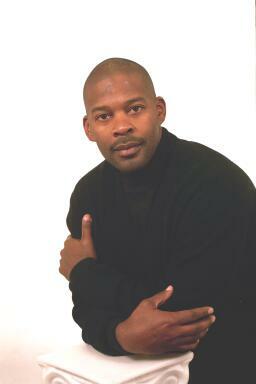 B2M: Vince LaSalle was a very strong character in Auslander. Was it difficult to portray him on paper the way you envisioned him in your mind? LEWIS: I would not say difficult; I had an image of Vince in mind that I endeavored to be very thoughtful in putting forth; intelligent, romantic, and physical, are all parts of the whole but more than that, I wanted it evident that Vince is a complex human being with emotions, hopes, dreams etc. I also wanted him to face disappointment and have the will to overcome it. I was sending a message, not only to black men and women, but also, to anyone who might feel disempowered. In other words, do not allow any human being to define what you are capable of. You see Vince continually battling stereotypes throughout the story and never allowing situations or people to dictate his belief in his ability or performance. B2M: Was there a particular character in your book that was hard to develop? If so, which character? LEWIS: Not especially; I had a blast with all the characters; I want to do so much more with all of them and hope I get that opportunity. Without being self-serving, I do consider myself a writer who possesses a certain degree of intuition about his surroundings. As such, I am an observer of people situations and so forth. Characters intrigue me; developing them is actually as much a pleasure as developing the story. I will let you and the readers in on a secret; there is another character that you haven't met yet, who will be quite a surprise. He is the catalyst for what other facts you will learn about some of the existing characters and will allow me to delve more into character development. I hope to keep the many twists coming. B2M: When did you discover your ability to write? LEWIS: I have loved literature and writing throughout my life. Some things you are born to do, it is just a matter of realizing it. To be specific in answer to your question, I received encouragement concerning my writing and vocabulary, from a teacher, who happened to be a Jewish woman, while I was in elementary school. It is not lost on me that there is some irony in the fact that Vince has a very touching relationship with the Jewish children he encounters in the story, and that it was a Jewess who first encouraged me. Vince and the children's relationship will continue in surprising ways also, by the way. At any rate, the encouragement I received from that teacher (yes I remember her name, Ms. Rosenbach) was probably the first time I formally realized that I was predisposed toward literary endeavors. B2M: What message would you like to send to readers through your book? LEWIS: In the midst of all the action and intrigue, the theme of a common humanity, hopefully provoking thoughtful consideration for fellow human beings, resonates throughout the story. I hope that readers take that away from reading Auslander, aside from being entertained by it and perhaps, learning a few historical facts that just might change some preconceived ideas. LEWIS: I read so many titles for research. In the realm of pleasure reading, it would have been Edward P. Jones', The Known World. Incredible read by the way. LEWIS: Easily my family; I have been blessed with a beautiful, intelligent loving wife and three great young people to share my life with. I am also a track coach at George Washington High School here in Denver. I have also, always been an athlete and still do my running and weight lifting as a rule and because I enjoy it. LEWIS: Believe in yourself and keep working on your craft. It can be frustrating trying to get published, and, even then, the struggle is just beginning. Promoting a book, making it succeed, is largely left to the Author. Be prepared for that and seek out advice, counsel and constructive criticism from those whose opinions you value, and, who might have walked the walk already and can spare you some of the ?snares" that exists for authors out there. Never be afraid of the critical process of looking at your work and allowing that to inspire you to continue striving to get better. Believe me; I have dissected Auslander much more harshly than any critic ever could. The positive result of that is that I am now free to grow as a writer. I, for one, do not adhere to the tenet that you should not read your own published work. After all, that is part of the self-editing process from which we improve. Before I sign off, again, an enormous thank you to the staff at Books2Mention for your help and support; it is appreciated. Lewis it has been great learning about you and your book. We encourage you to continue writing meaningful stories that give readers an insightful look into the lives of interesting people. You are welcome to visit the website of Lewis Kelley at www.lewiskelley.com.